We already know that social media is a place to provide information, share content and observe social actions. But sometimes the lines get blurred when it comes to professional social media accounts and personal social media accounts. As social media continues to play a major role in digital marketing, it’s important to understand how to effectively use it to benefit your business. This includes gaining traffic and vying attention of potential consumers to generate leads. That’s what makes social media marketing different than just posting on social media for the fun of it. With so many different platforms, trends and a surplus of content worth sharing, a social media marketing strategy is necessary. But first, you must know your objectives. Posting on social media without an end-goal in mind isn’t the best way to drive quality traffic to your website. First, understand who you’re targeting and what story you’re trying to tell. A lot of this information can simply be determined through your brands’ message. 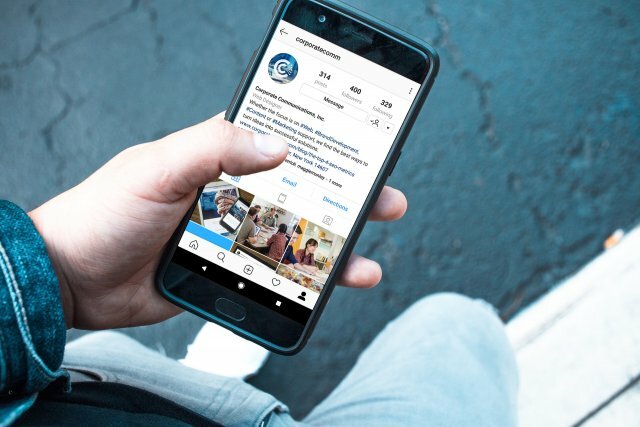 Brand consistency on social media should serve a purpose that will ultimately work towards your marketing goal, all while pushing your brand message forward. Staying on top of all social media interaction on your business’s pages is crucial. Acknowledging criticism, answering questions and addressing consumer concerns maintains positive brand association and improves interaction with your target audience. Your social media channels are a place for your business to position yourself as a leader in your industry. By posting the right content and engaging with consumers, you can strengthen your brand’s identity. With your business’s best interest in mind, be sure to base your content off of your latest analytics and current social trends. On Facebook, tracking your follower growth is easy by accessing a detailed analysis of your number of page likes by simply clicking on the Insights tab. You can also monitor your audience’s reactions to certain posts and determine certain time periods that are best for attracting new consumers – in other words, gaining more followers. Similarly, on Twitter you can view trends and statistics for your followers by visiting Twitter analytics. Once you start marketing your business correctly on social media, you will begin to learn more about your consumers, target them more efficiently, effectively and quickly. Not to mention, social media provides another platform to expand your audience, receive instant feedback, build and enhance relationships and increase quality traffic.